Have you noticed how life can get extremely busy? So busy in fact , that we tend to forget the reasons that you wanted to get married in the first place! So often we are busy doing good things- like looking after children, moving, new jobs, homework, etc. that in the midst of all this activity we just forget to look after our marriages and there lies the challenge! Marriages need time and content to grow and flourish! February 7-14 is National Marriage Week...which I personally think is a great week to have it! If you aren't already participating in my 14 days of Love Challenge, you should consider doing my shortened version for National Marriage week! 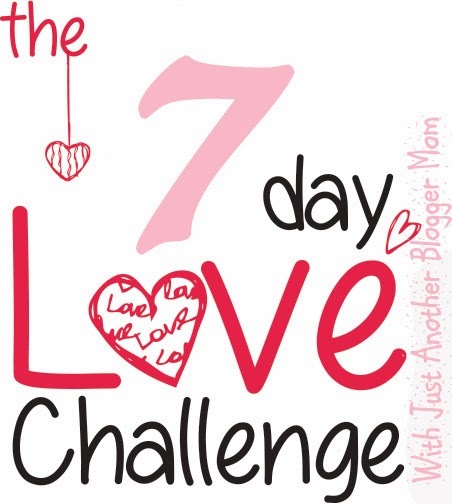 Each day I will be posting a new mini challenge & would love to hear how you participated! Schedule 10-15 minutes each day to prepare for the next day's love challenge. This will give you time to pull together the necessary elements and to fulfill the challenges thoughtfully. Don't let the day-to-day challenges of work, kids, or life in general, sabotage your commitment to fulfill the challenges. Do whatever is necessary to show your mate that your love and relationship are your #1 priority! Have fun, be creative, and ENJOY!